A plastic container big enough for the object to be restored. Distilled water (to avoid minerals or chemicals in tap water that could deposit or interfere). Available at most supermarkets. Pure washing soda (also called soda ash or sodium carbonate). Available at most supermarkets. A 6 V to 12 V DC power source capable of up to 3 amps, such as a car battery recharger or bench power supply. The power supply must be short-circuit protected. These are available at auto-part stores or electronics retailers. A piece of plain steel (hardware store) or graphite (eBay). We'll discuss this in detail later on. WARNING! This article describes an activity that involves risk of harm to persons, animals, and property. Pure water is a poor conductor of electricity. In order for the electricity to power the chemical reactions, it needs to be able to flow throughout the container. The water needs free ions to conduct electricity. 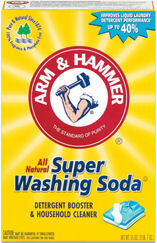 Left: Arm and Hammer Washing Soda. 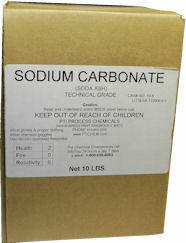 Right: Technical grade sodium carbonate from PTI Process Chemicals. Washing soda is sodium carbonate. When dissolved in water, it becomes sodium and carbonate ions. The total combined solution is known as an electrolyte. You may have heard this term associated with batteries and capacitors. 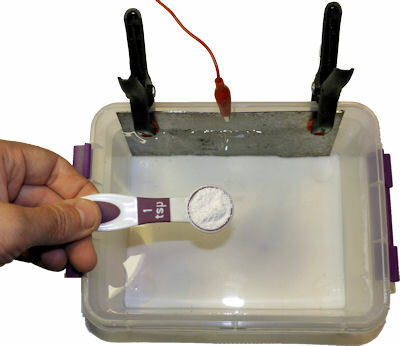 Electrolytes provide the same function in those electronic components -- the easy transfer of electricity. Note: Washing soda is not the same as baking soda, which is sodium bicarbonate. Washing soda is routinely used to remove oil and grease, as well as certain minerals. Therefore, the washing soda also provides a secondary benefit in electrolysis, as the rusted metal also likely contains these minor contaminants. Washing soda is a skin irritant. That’s why you should wear rubber gloves. Using a measuring cup, fill the plastic container with distilled water to the level where the rusted piece would be fully submerged. Next, add enough washing soda to make the solution between ½% to 1% ratio. It’s easy if you use metric measurements: 5 to 10 milliliters of washing soda per liter of water. In imperial units, that’s 1 to 2 teaspoons of washing soda per 5 cups of water, or 1/2 cup of washing soda per 5 gallons of water. Adding sodium carbonate washing soda to distilled water. Stir the water until the washing soda has fully dissolved. Great! You now have a clean solution that will easily conduct electricity. Obtain a piece of ordinary uncoated steel or iron. Cut it down to a size that will fit in the container, with enough sticking out to connect a power clip. Clean the metal with soap and water to get rid of any surface contaminants. With power turned off, attach the positive lead (+) from the power source to the piece of metal. This is called the sacrificial anode. 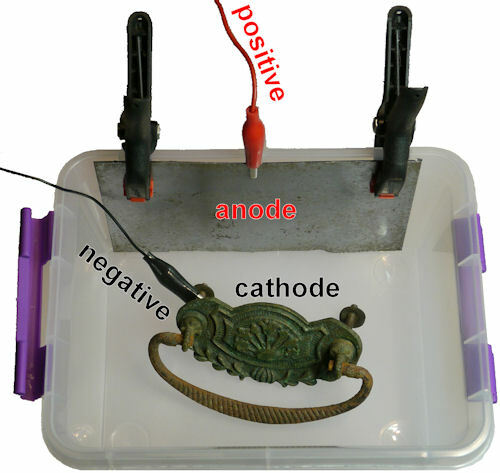 It is an anode because it is connected to positive. It is sacrificial because it will rust away during the electrolysis process. Therefore, I wouldn’t use your favorite antique automobile license plate for the anode. The power clip should not make contact with the water, since we don’t want it to corrode. Also, depending on the metal and plating of the clip, it could damage the piece being cleaned. The anode should be placed on an interior side of the container (in the water). It should be attached in some non-conductive manner (plastic screws, plastic clamps, tape) so that it won’t come loose or fall on the piece being cleaned. Electrolysis setup with sacrificial anode cathode restoration and plastic container. With power turned off, attach the negative lead (-) (also called neutral or ground) of the power source to the rusted piece that you want to restore. This is called the cathode. Place the piece in the middle of the container. 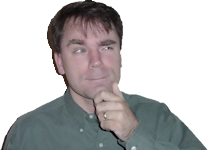 It should NEVER touch the anode, as this would result in a short circuit. To prevent significant damage due to accidental contact, use a power supply with a current limit, rather than an unregulated power source such as a car battery. Unlike the anode, the power clip to the cathode can be submerged, since the electrical supply is preventing it from rusting. Make sure nothing else is making contact with the water and that there isn’t any water or exposed wiring outside of the container. Also, check that the lid is off to prevent pressure buildup, and the container is outside so that the gasses can escape harmlessly.